Today, I found out that someone took something from my dreams and made it into reality. 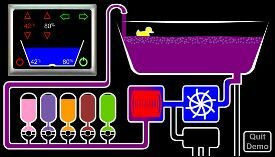 You see, I always hoped to have a bathtub that is completely automated. I suppose it is kind of a pathetic dream that I have, but Bath-O-Matic has made it a reality. If I want the temperature of the water to be a certain amount of degrees, I can have it without having to fiddle around with Hot and Cold knobs. Also, I can start the water and leave the room without ever worrying about overflow. I hate mowing the lawn. I grew up in the country, which meant there was a lot of grass to be cut. In addition to my parents’ lawn, I also did the mowing for our kind, elderly neighbor. In all, there were about 3 acres worth of grass. I joked with my parents about getting a goat or two, as they would simply eat the grass. 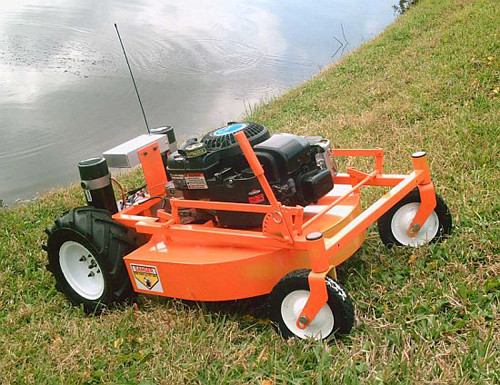 I’m going to guess that someone else had a similar childhood, because they’ve created the remote-controlled GOAT lawn mower. We all know Valentine’s day is coming up. And men all over the world are scurrying around trying to find the right gift for their Valentine that won’t disappoint them. (We all know men have given up on trying to find the perfect gift, because that will never happen). It’s hard enough trying to find a gift for the average woman, but what do these poor guys do when faced with a woman who is a geek/nerd? Most guys fall back onto the default of chocolate and flowers, but this year, there’s a great alternative for your geeky Valentine. …Theobromine, and she’s the tasty little number who puts your mind in a happy place while you are eating chocolate. Molecularly similar to caffeine, but with just enough differences to make her a much smoother date, Theobromine is slower to burn out of your system and induces gentle, sensual stimulation to your muscular and cardiovascular systems. 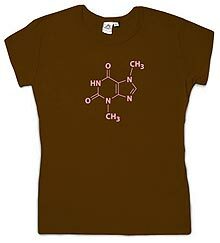 Granted, you can’t eat this lovely chocolaty brown t-shirt with the Theobromine molecule imprinted in a lovely Valentine’s raspberry pink and get the same chemical effects on your body – but your geek girl may just swoon over the geekiness (and your thoughtfulness) of this nearly perfect gift. Also, the t-shirt has no calories, so your sweetheart can wear this t-shirt proudly without gaining an ounce (well, technically only 6.1 oz, but that’s how much the shirt weighs). I eat a lot of pizza, one might even call me a connoisseur of the pizza pie. I sample the (usually) circular dishes from a variety of restaurants on a regular basis. I’d say about half the time I choose the option to have my food delivered. 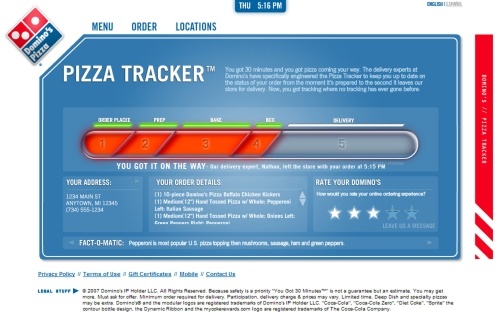 During those forty minutes or so, I’m constantly wondering exactly when my pizza will get here. Well the fine folks at Domino’s Pizza have gone above and beyond to make sure you know where your pizza is, and what it’s doing. 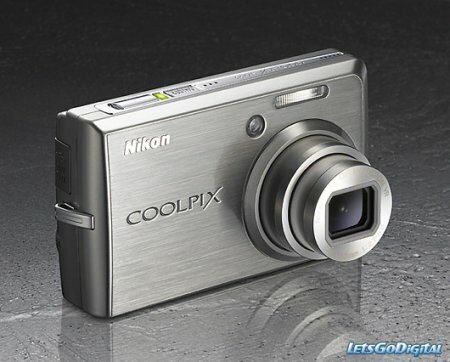 Nikon certainly isn’t going to let up when it comes to new releases of digital cameras, and the Coolpix S600 is one of the latest offerings from its stable. This stylish new camera comes with a speedy start-up time (perfect to capture an ongoing moment even when you’re not prepared – losing out on a couple of seconds could mean the magical moment is gone, never to be repeated), advanced functions, and superior photographic performance, all crammed into a slim, stylish body. For further details on the specifications, kindly head on after the jump.